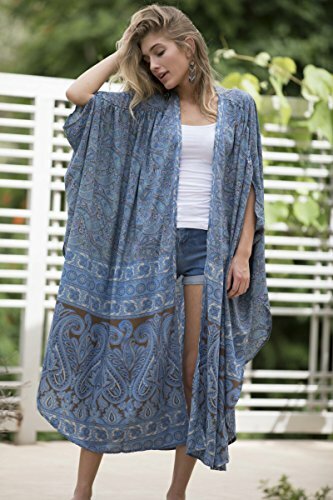 This is the perfect lightweight Kimono, Trendy and high quality, with a statement which cannot be ignored. For Summer, spring or fall, and looks amazing with just a simple pair of jeans and a tank top! It is my Season Kimono, it has a beautiful print, Teal & Turquoise. It has an abundance of fabric, which makes it oversize, drapes beautifully, and is sleeveless. Size - Available in 1 Size - Fits ALL! If you have any questions about this product by Anabella Women, contact us by completing and submitting the form below. If you are looking for a specif part number, please include it with your message.